Let me ask you a question, who is the Antichrist? Have you ever tried to figure out the answer to this question? If you're like the average person who understands the days we are living in, this question has probably crossed your mind a time or two. I have been asked this very question for a few years now by many different people along life's road. God in his mercy has saw fit to give me the answer to this question, and I am so grateful for it. Through much study and hours upon hours of research God has cleared up this debate through the publication of this book. 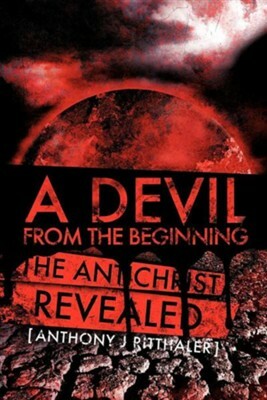 There are so many opinions on who the Antichrist is, but most fail to line up with the Bible. Many people have even written books on this subject through the years, and they are good books, but at the books end they never really answer this question, and they still leave you guessing. My goal in writing this book was to give the public a clear and accurate answer from the Bible that once and for all settles the question of who is the Antichrist.I promise you one thing, if you read this entire book, you will find it impossible to deny who the Antichrist is. There are hundreds of Bible verses contained within this book that will expose this man of destiny. Please allow God's Holy Spirit to speak to your heart as He has spoken to mine. This book will shock you, excite you, and provide many answers concerning this topic. I pray that God will open your eyes as a result of this study, and show you that the end is near, and JESUS is getting ready to come.May God bless you, Brother Tony. I'm the author/artist and I want to review A Devil from the Beginning.